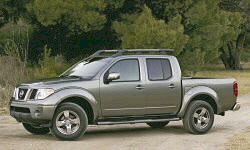 Nissan Frontier Pros and Cons | Page 1 of 1 | Why Not This Car? This has been an overall very reliable and fun to drive truck. I have owned it since new and put over 57,000 miles on it in the 6.5 years of ownership. No mechanical problems to date. Just a Total disappointment. I purchased this vehicle to last 200K miles. It only went 127K. Wow. A Tacoma will always last longer if taken care of. Handsome, masculine styling without going "over the top" My wife and my mother both liked the way it looked, and so do I. Looks good in silver. 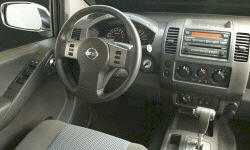 Best V6 power rating on the market in a truck (Full or Midsize). More than ample power. An extended cab version runs about $3,000.00 less than extended cab version of the tacoma. Looks sharp with the short box crew cab and the NISMO package. Get the full options with roof racks as this looks great. Toyota only had dibs on the hood and that is where it all ends. They are 10 years behind otherise. My father had a Nissan truck back when it was just called a Mini-pickup. We worked the heck out of that truck. I learned to drive on that vehicle. We put 145,000 fairly trouble free miles on the vehicle before it was put to pasture in an auto accident. More for the money than what the Tacoma would cost for same options. This truck is a bullet, great off the line, can tow most anything and the ride just feels solid. After 3 years of ownership, never a problem with the powertrain. This truck has a lot of power. I have no trouble keeping up with any V8, it really packs a punch! Have owned a Nissan truck since 1979 and have had very few mechanical issues with them, very reliable and good performance. Can tow up to 3500 pounds and haul over 1/2 ton. Was a little more radical than Tacoma. Not shure it would look good in a few years.